Hi and welcome to a brand new day! In an all new session of Author Interview, we have the author who turned a cancer story into a carnival of fun, laughter and light-hearted challenges. Yes, Elizabeth Hein is here not only to talk about her new cancer book, How to Climb the Eiffel Tower, but also about her life, cancer and life beyond books! Read along to know more about this terrific writer! Me: Hello and welcome to my blog, Elizabeth. Congratulations on your new book, How to Climb the Eiffel Tower. Can you share with us the story behind your book, How to Climb the Eiffel Tower? 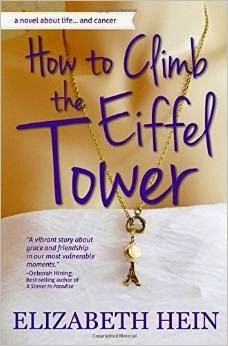 Elizabeth: How To Climb The Eiffel Tower is the story of a transformational friendship. 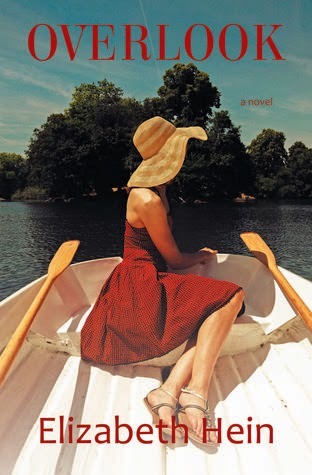 Lara Blaine, a broken young woman, meets Jane the day she is diagnosed with cancer. The friendship that develops between the two women gives Lara the strength to face both her cancer and the memories that haunt her. For her part, Lara gives Jane someone to care for and love. Me: What was your inspiration behind this story, How to Climb the Eiffel Tower? Elizabeth: When I was going through cancer treatment for a blood cancer, I overheard a woman on the other side of the chemotherapy room say, “Cancer was the best thing that ever happened to me.” When I sat down to write a book about my experiences and the people I met during my journey through Cancerland, I remembered that comment. I wanted to write a positive book about cancer where illness and recovery were indeed the best thing that happened to someone. After several false starts, I found the right combination of illness and recovery. Me: Most authors like John Green prefers to write about heart-breaking Cancer stories, then why did you choose to write a witty and light-hearted Cancer story, when we know that Cancer is like a depressing topic- the word itself has the power to make us feel sad? Elizabeth: I wanted to write a book about cancer that people would actually want to read. I don’t want to make people sad. I want to entertain and inspire people to think about cancer in a different way. Illness does not occur in a vacuum. People that are sick still have jobs and families and larger lives. Those lives are filled with funny situations and non-cancer-related struggles. Also, I just tend to write about dark subjects with a snarky humorous tone. I’ve tried several times to write about lighter subjects like romance and social commentary, but something awful always ends up happening to my characters. Me: Did you travel extensively for the purpose of research? Elizabeth: I didn’t have to travel very much at all to do the research for this book. I live four minutes away from one the US’s foremost cancer hospitals, so the resources I needed were literally around the corner. I also did quite a bit of research online. I found people on Facebook that told me their stories and were there for me to bounce ideas off of. Me: Tell us one trait of your protagonist, Lara, that intrigues you the most? Elizabeth: I love Lara like she were one of my children, so many things about her intrigue me. One thing that I particularly love about her is her thirst for knowledge. If she doesn’t know something, she researches it until she knows everything she can about that topic. Of course, her curiosity is a double edged sword, but she never stops learning new things and searching for answers. Also, I love how sassy Lara is. She is very sarcastic and funny. Me: How will you describe your journey so far as an author? And was it always your one true dream to be an author? Elizabeth: I was a reader long before I ever thought to start writing. It wasn’t until after I survived cancer that I started writing down the stories that float around in my head. Once I did, the stories just keep coming. Me: Tell us one of your favorite Cancer book and why do you like it? Elizabeth: The book that has stuck with me the most is Susan Sontag’s Illness as Metaphor. It is a short non-fiction book that turns the way we think about illness on its head. I read it while I was going through radiation and it changed the way I saw my whole cancer journey. Me: How will you describe your normal writing day? And how do you get away from the stress of a long day's work? Elizabeth: My writing day starts fairly early in the day. I try to get a few good hours of writing in before I take a shower and get going for the day. My afternoons are devoted to social media and marketing my books. I also tend to edit best in the afternoon. Elizabeth: Right now, I am working on a mystery series about two friends that travel around the world and keep stumbling over dead bodies. Since people don’t end to travel that often, the series will see Midge & Snigdha contend with the challenges in their lives as well as the mysteries. The other project I am working on is another women’s fiction novel based around the tornado of 1953 that went through central Massachusetts. That novel will deal with the issues of beauty and mental illness. Me: Thanks Elizabeth for sparing time to have this interview session with me for my blog. I can only wish you luck in all your future endeavors. Elizabeth: Thank you for having me as a guest. It’s been fun. 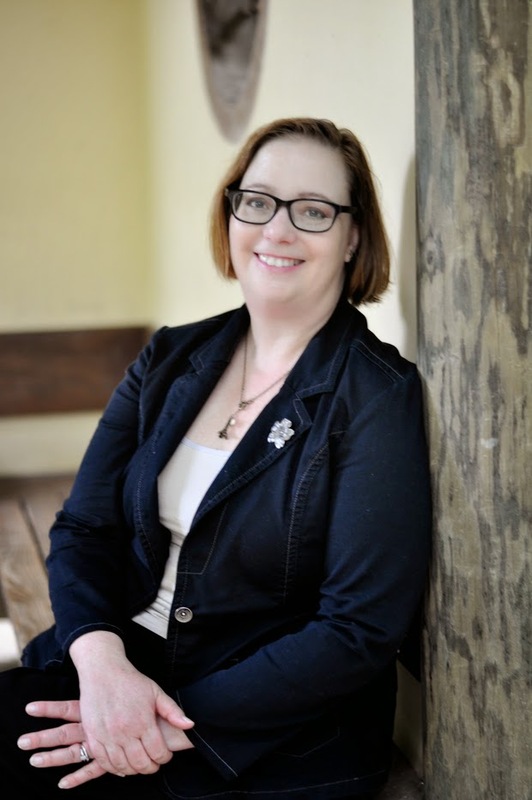 Elizabeth Hein is a writer, mom, coffee snob and cancer survivor. She writes women’s fiction with a bit of an edge. Her books explore the role of friendship in women's lives. Although she lives in North Carolina, she still thinks of herself as a Massachusetts girl. She misses eating lobster near the cool beaches of Cape Cod, yet she has come to appreciate a lively pig pickin' on a hot afternoon. For Fifty Shades Haters & Lovers!